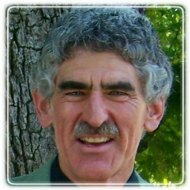 Vallejo Therapist: Glenn Fleisch - Therapist 94590. Send A Message To Dr. Fleisch. As a psychotherapist for over 32 years, I have helped hundreds of people learn how to resolve and transform difficult life issues. What I have found is that when we are stuck, at an impasse, feeling confused, despairing, at a loss about what to do or how to proceed, that if we turn attention to the body, it will show us a way forward. Bodily based therapy is not 'body-work,' but is an awareness of what our body is doing and how it is feeling. Together, when we sense the body inwardly and observe it outwardly, we learn how we are experiencing stress and embodying our self. Through sensitive listening and awareness, we can access the body's wisdom that is already trying to move us forward. Letting our body do whatever it wants or feels, to move or express however it is feeling, is a very liberating process. My work is relational and interactive, where I offer my self as a resource- providing feedback, processes and responses that enable us to reclaim lost parts of your self, and to restore a broken, wounded spirit. The main aim of this therapy is to find and empower new life-energy in those places where it had been stuck, blocked or impaired. This can be very quiet, contemplative and can be highly energized, expressive work. In addition to my clinical work, I teach graduate school, supervise and train psychotherapists, offer workshops/retreats and write extensively on the body's role in healing and recovering spirit. This journey has been both professional as well as personal as I incorporate what I have experienced and learned in my own process of healing and transformation. I would be glad to speak with you about myself, my research and work and how we might work together- before committing to entering therapy.